Thick leather strap with thumb-hole. 43½ inches / 110.5cm long from point to point. 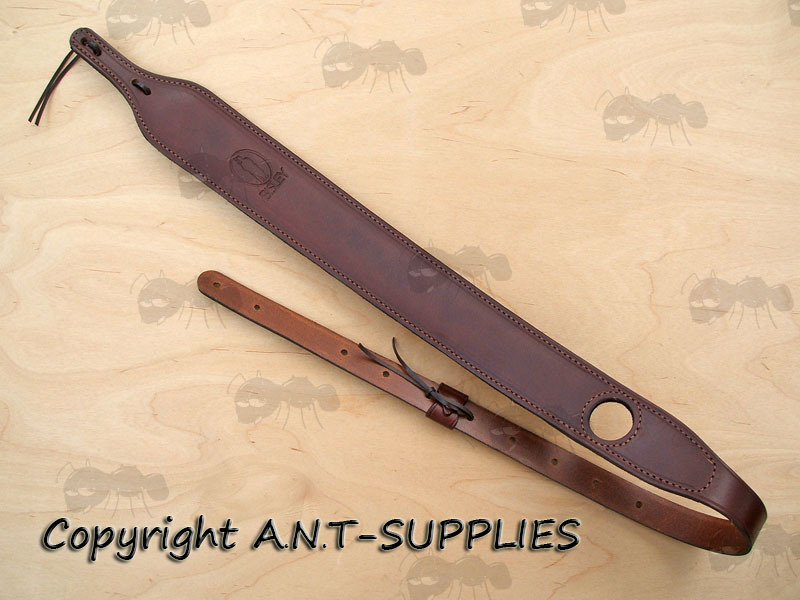 2½ inch / 50mm wide, tapered down to a 7/8 inch / 22mm strap to fit standard swivels. Comfortable suede leather shoulder pad section. 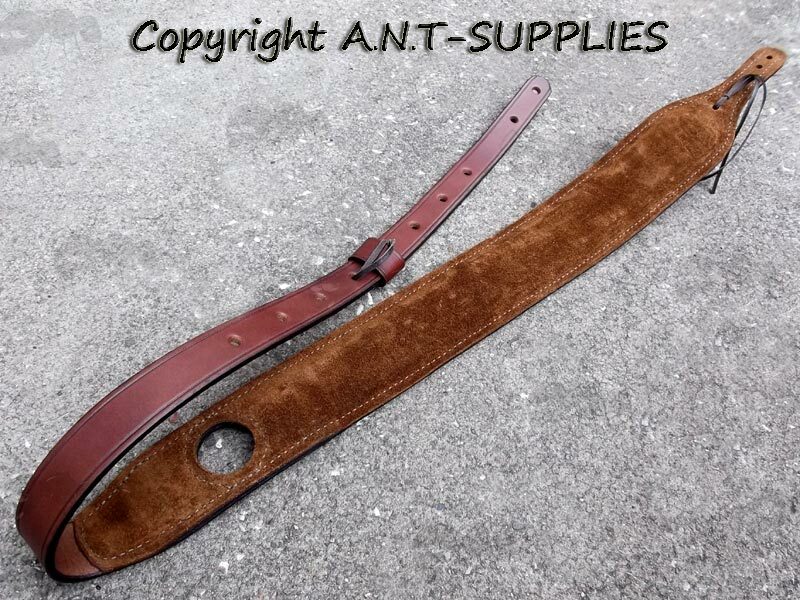 Adjustable length eyelets in the strap, with the leather ties provided. Weighs approx ~ 185 grams. A heavy-duty and practical sling to fit all rifles or shotguns with standard fittings. Beautifully made from the finest oiled brown leather with leather ties.